With its freely moveable laser handset, our laser is the ideal solution when marking extremely large parts. Provide your product with a logo, a number, a 2D code (barcode, datamatrix code, Q-R code,...) or with other clear and machine-readable identification.Use the laser to certify original parts and make your products safe against forgery.Mark positions which are difficult to reach, e.g. 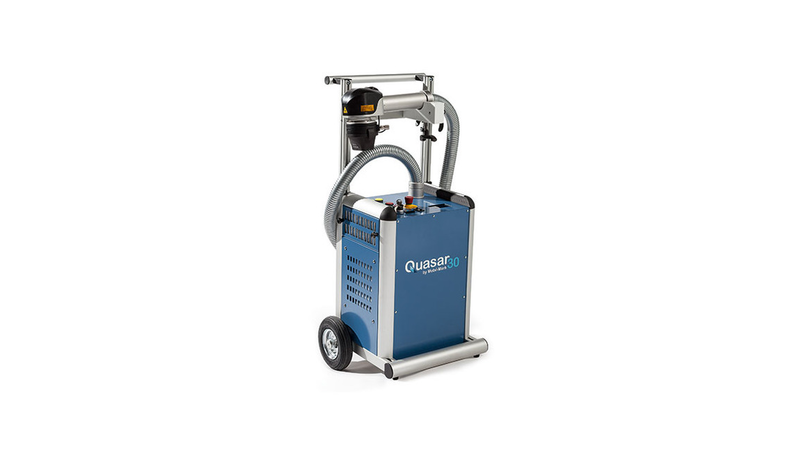 in pipes or on narrow edges.Use the laser to draw up an inventory.You can also mark parts which are exposed to high temperatures, aggressive chemicals or high technical demands. The universal laser system can not only be used mobile, but can also be automatically integrated into any production environment - even retroactively. Our laser marking system is designed to save space and can be operated with robots without a protective enclosure due to its safety concept according to laser protection class 1. By communicating with the laser controller, any position in three-dimensional space can be approached. Even large-area inscriptions can thus be realized.